And here we are! It’s October 31 and Halloween is in full swing. To celebrate this most momentous of holiday seasons, we’ve had a month full of horror with my retrospective on the Halloween films, The Nights He Came Home, a look at the German Expressionist classic The Golem (1920), and yesterday’s Top 10 Hellboy Stories. But it’s all been leading to this, folks. So without further ado, here are my Top 10 Horror Films! 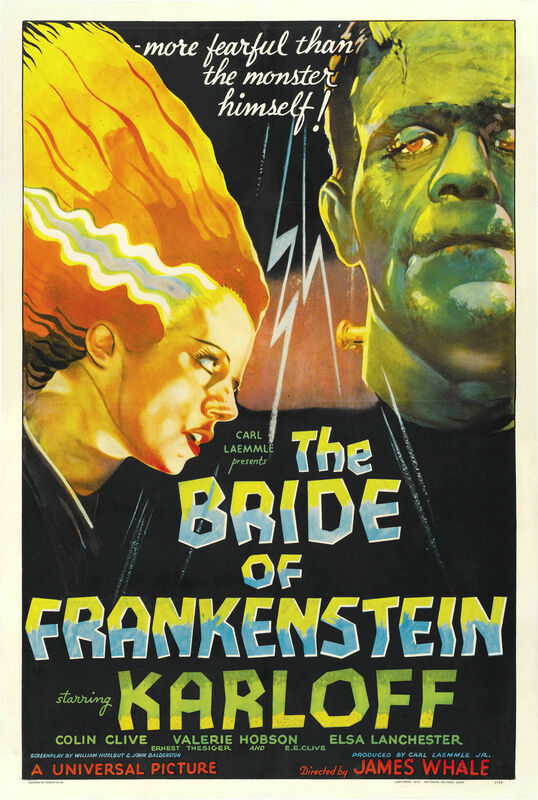 Many consider Bride of Frankenstein to be not only the best Universal horror film ever made, but perhaps even the best horror film ever made. There’s a strong case going for it, but oddly what makes it such a richly potent film is not the scares or chills; it’s the way director James Whale was able to infuse a camp sensibility, rife with comic genius, into the gothic terror of the story. Whilst it is not a straight adaptation of Mary Shelley’s book, it is easily the best film based on the book. Elsa Lanchester’s Bride is the perfect mix of both beauty and gothic degeneration; resplendent, even in death. 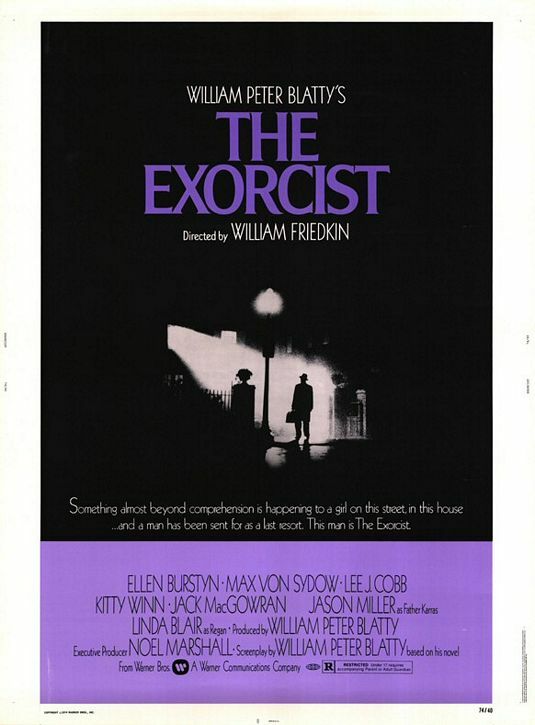 The Exorcist is arguably the greatest story of good and evil told in the horror genre since the publication of Dracula (1897). The film goes far beyond what has previously been established on camera as the work of the Devil, showing nothing less than the complete corruption, body and soul, of a 12-year-old girl. As Satan, in his manifestation as Pazuzu, destroys Reagan, two Catholic priests must battle for what is left of her. One has been hunting Pazuzu all of his life; the other’s faith is near its end, and he struggles to find meaning in existence. As full of power now as the year it came out, The Exorcist is a film that will swallow you up whole and grab you like no other. 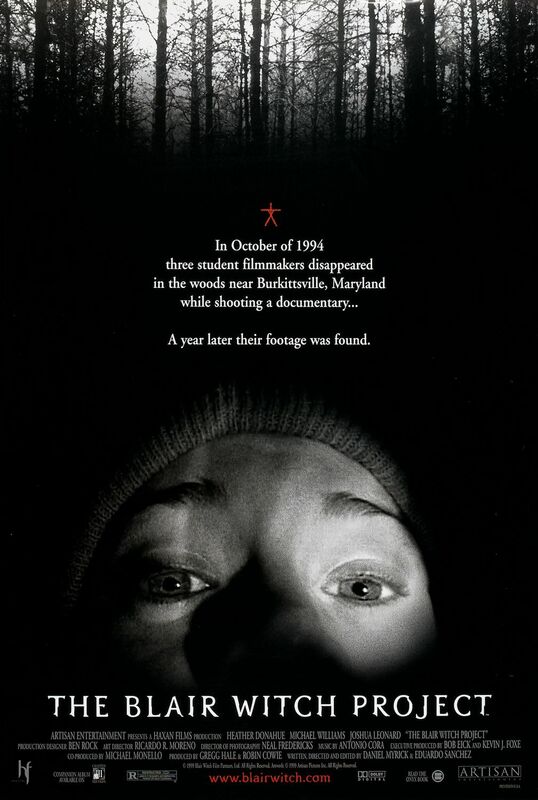 Also making an appearance on my Top 10 American Folk Horror Stories list, The Blair Witch Project is primal filmmaking. Many have tried to replicate it’s success, but few have succeeded. As three filmmaking students get lost in the woods, a menacing, terrifying presence starts to hunt them. As desperation sets in, they have to fight not only for their lives but for their minds. The film paints a picture that is relentlessly bleak and exhausting. And when the final climax comes, nothing will prepare the viewer for the wave of horror that will hit them. Easily the most terrifying film I’ve ever seen. The original slasher film is still the best. Marion Crane has stolen $40,000 from her employer. On her way to California, she stops off at the Bates Motel for the night. What she’ll find there will scar not only her but her family forever. 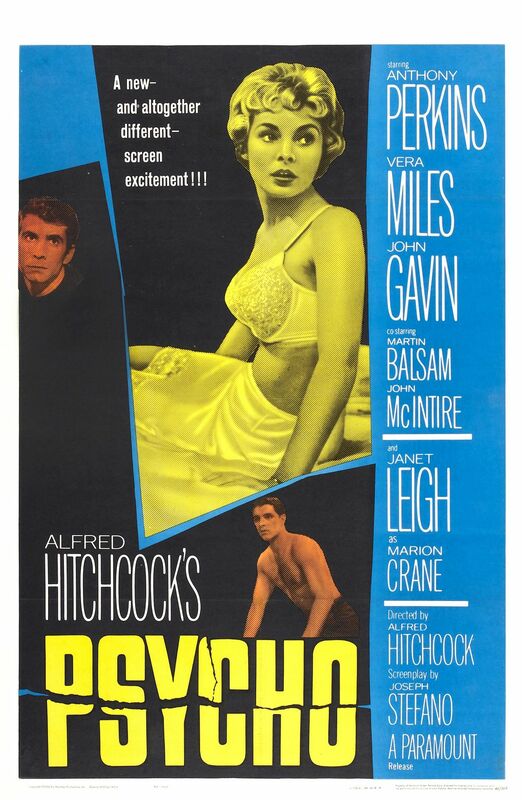 Some might think Psycho somewhat naïve after the wave of slasher films it inspired, but it is still easily the most powerful and shocking of them all. The villain of the film will stick with you forever, and he easily ranks among the greatest villains in cinema history. I’ll never tire of Psycho for this exact reason. Timeless. Two college students decide to go on a European tour and start by backpacking across England. There, they are savagely attacked by a wild beast on the North York Moors. One is killed, and the other is left with strange dreams of running through the woods, free and uninhibited to give into a powerful lust for blood… An American Werewolf in London remains as biting today as in 1981 because of its brilliant fusion of comedy, horror, and tragedy. The werewolf transformation scene still ranks as the definitive moment in werewolf cinema. 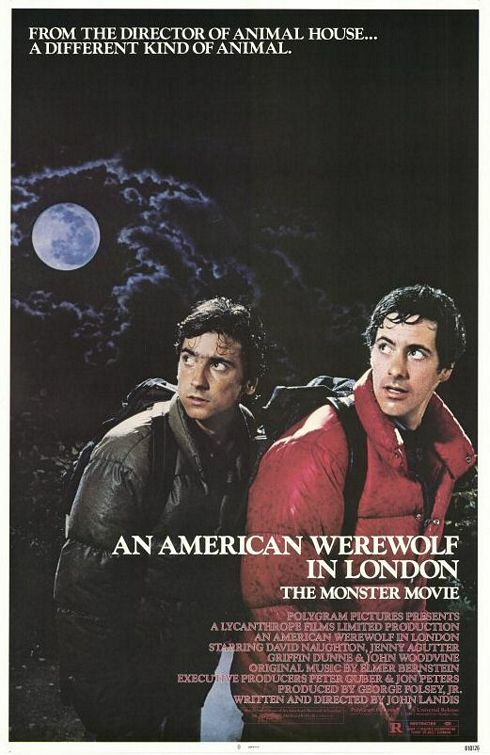 Shocking, funny, and sad all at once, An American Werewolf in London remains as John Landis’ masterpiece. Vampyr is criminally under-appreciated among horror aficionados. Perhaps the reason is that it is so totally unlike any other horror film and defies many of the conventions of the vampire film. It is nothing less than the most accurate cinematic representation of a nightmare. 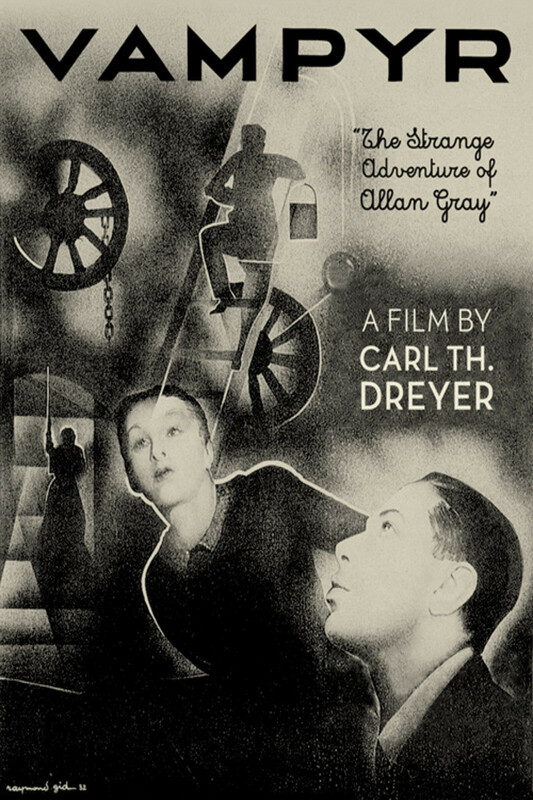 The whole film is mysterious, ghostly, and dream-like. You never feel that it is set in a real place. The landscape is apocalyptic and lies half in dream and reality. Vampyr is more like a series of random events linked only tentatively with plot. Completely absorbing, terrifying, and bleak, there will never be another film like Vampyr. It is one of those rare films that is completely original. John Carpenter’s body-horror classic is his best film because it is the most advanced in storytelling, characterisation, and craft. It also brings to cinema perhaps one of the greatest of all movie-monsters. Set in the Antarctic, Kurt Russell’s MacReady and the rest of his base must defend themselves against an ancient alien being. However, this being can transform into anyone it kills. And as the paranoia and isolation sets in and the sky goes dark, Macready must prepare to exterminate not only this being but perhaps everyone else. 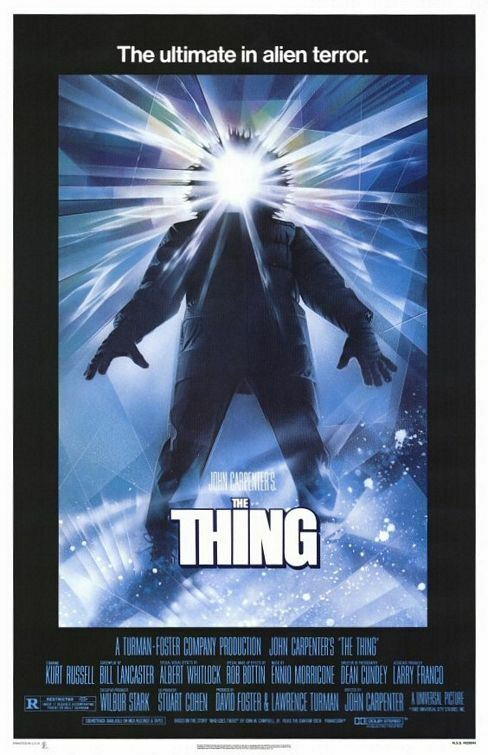 Abysmally dark and terrifying, The Thing is a film unlike any other. Cannot be missed. Ash Williams and his girlfriend go to a small cabin in the woods for a romantic get away. When he reads aloud from the Necronomicon Ex-Mortis, he awakens the spirits of the dead as they relentlessly assault the cabin. Ash must survive until morning. 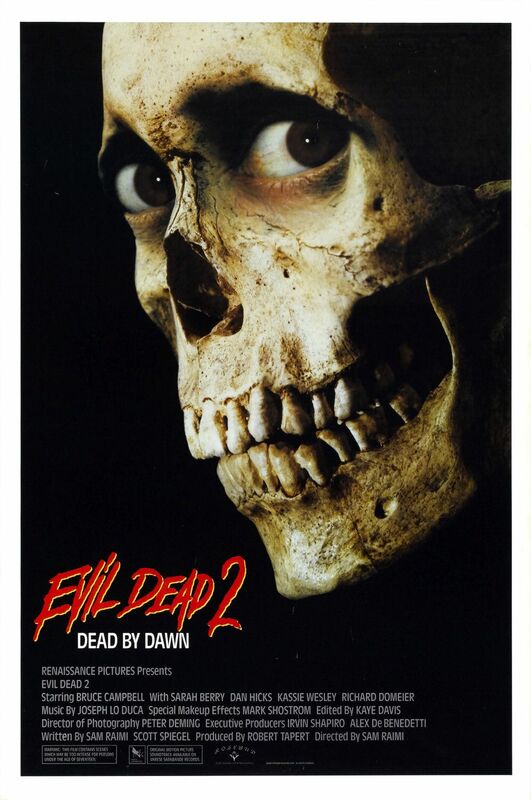 Simple in plot but brilliant in execution, Sam Raimi’s horror-comedy is full of blood, guts, and laughs. Imagine Buster Keaton making a slasher film and that’s what you get here; masterful in every sense and schlocky to the core. Simply put, a cinematic treasure and the greatest horror-comedy ever made. 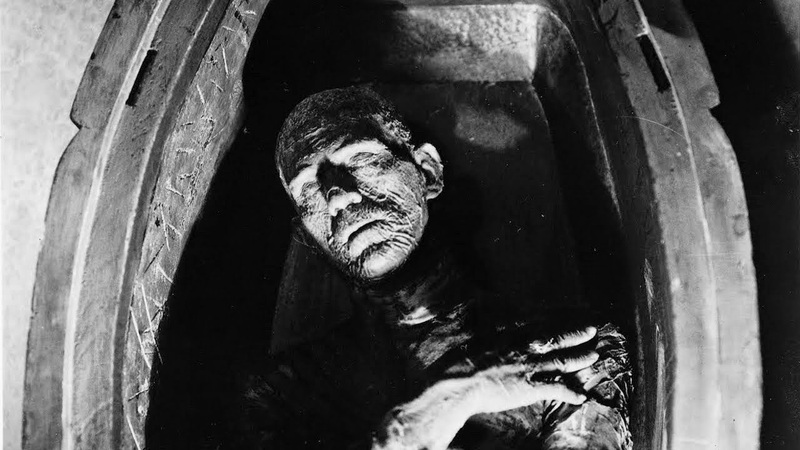 Featuring my favourite opening of any horror film, The Mummy tells the story of Imhotep, an Egyptian priest who is accidentally resurrected. In 1930s Cairo he begins his preparations to resurrect his long-lost love, and is prepared to kill anyone who comes in his way. 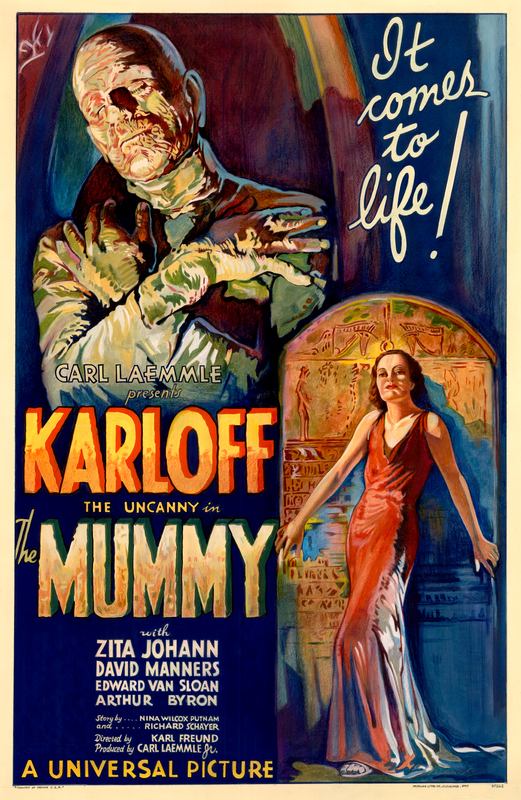 Whilst it may objectively not be the best of the Universal Monsters cycle, I simply love the Egyptian setting. The film is faithful to its setting in a way that few films since have; this lends it the perfect atmosphere. On top of that you have the masterful direction of Karl Freund and perhaps the best performance Boris Karloff ever gave. I’ve watched it countless times and I’ll watch it countless more. A masterpiece of the Egyptian gothic. 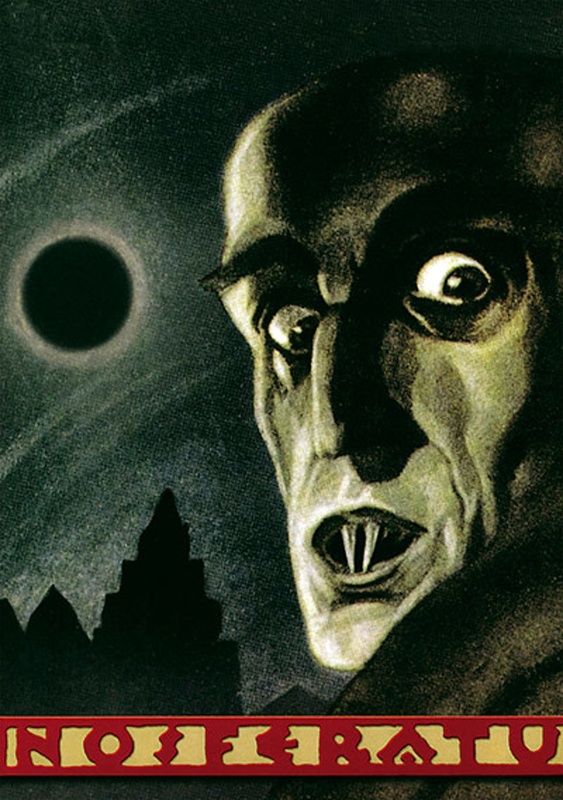 The first of many great adaptations of Dracula, F. W. Murnau’s Nosferatu is also the best. It’s a film full of shadows and fog, and has a silent, waking terror that few films are able to conjure forth. Count Orlok is one of cinema’s greatest vampires. Completely inhuman, disgusting, and corpse-like, he is terrifying in a way that Dracula never was. One of my first true horror films, Nosferatu remains my favourite because you can see it’s influence in just about every single horror film. A masterpiece. Well that’s it folks. Thank you for reading and joining me in this past month’s celebration of all things horrifying. Tomorrow we’ll be back to normal content. I’ve really enjoyed this month-long celebration, and look forward to doing it again next year. Thank you for reading, and see you in the funny pages! Really enjoyed reading about your Top 10 Andrew. And it inspired me to watch one of them as my Halloween movie tonight. So I spent an hour and a half with the folk in The Slaughtered Lamb one more time. Thanks for that! Well thanks for reading Fintan – and indeed I may visit the Slaughtered Lamb once more myself! What would make your personal top 10?